Joe called in and Denise jumps to the end of the story and says he did not get a fair case but Joe is happy when people have such pure emotions for the case against him. New York does not have the Death Sentence. The killer had nothing against Joe and Joe was in the wrong place at the wrong time and some TV network wants Joe to have a meeting with the killer in jail, they would of have to give joe a boat load of cash; and if Joe could of picked up the knife he would of ended his life no question about it . Joe never liked the subway before the incident and hates to have his personal space invaded and does not trust other people. He grew up in NY and then worked in south Jersey for Fleet and they closed and claimed Bankruptcy. He then got a job in NY and still lived in Philly and was a long trip to and from work. Joe did not want to see a Counselor and talk to a person he knows and trusts like a family member. Joe friend Dean called him and asked him about UFC and he was hooked on watching UFC. The MMA community wrapped itâ€™s arm around Joe and was very helpful to Joe and he made some friends too after his incident. MMA talk now .Talking about WWE too. Talking about binge watching shows, plus old TVshows too. Talking about Sopranos and Paul lived near the filming of a lot of the scenes and watching The Sopranos every week and we all hated the ending and thought your cable box fucked up. Joeâ€™s dad was a strict Italian father . Joeâ€™s kids practices Brazilian Jiu-jitsu at http://www.serrabjj.com/ with Matt Serra and has become a friend of Joe’s. Joe was very honest to his kids and answered there questions and they know every moment about it and knows it word for word. 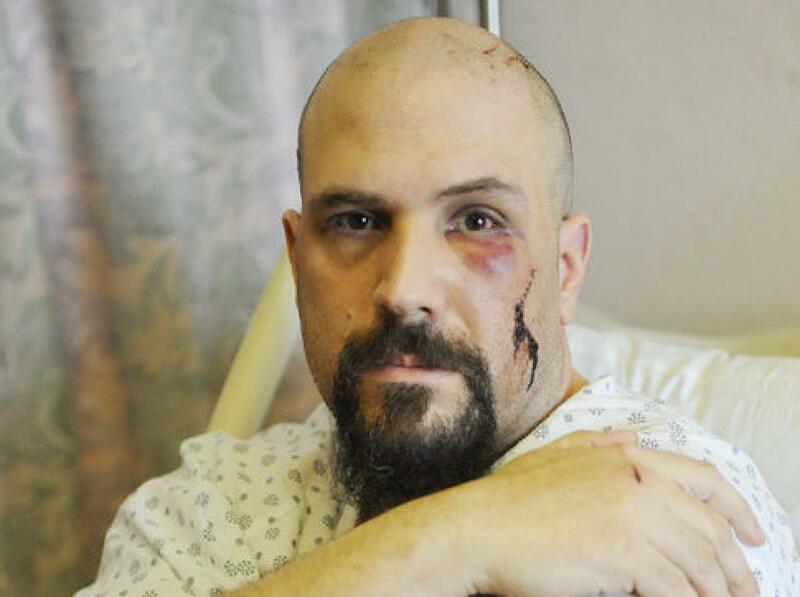 Joe Lozito talked in detail about the incident and lets us know in full detail, and how he found out in the hospital he was called a hero because the guy killed 4 people and injured 4 or 5 other people. The Cops all knew who he was and was there to get him and could of prevented it and he is not anti-cop and he is pro cop but the two cops were gutless and spineless and was saving themselves. The killer was trying to take over the train. and the killer tried to plead insanity and the doctor they used had a great reputation said he was fit to stand trial and he was done and plead guilty . If a police do not have a personal relationship with a person being attacked they donâ€™t have to protect joe, but if they prevented it and it would never come to this. What pissed Big A the most is when joe stopped the killer and got stabbed and bloodied and the cops came out and said ok you can get up now. Joe said he should be dead with the amount of blood he lost that day and the real hero was a citizen named Alfred Douglas and his name was never mentioned by the cops . Joe wanted to go to court on principal of it. Joe wanted to go to trial even if he got no reward because to make a example and somebody had to be accountable for this. Joe loves revenge movies and these are his favorite movies. Joe may still bring a complaint to internal affairs. Joe Lozito took the killer down and not the cop who said he did and Alfred Douglas did more cop work then the real cops that day. Alfred tried to stop the bleeding to Joe and tried to calm Joe down. Joe is all about the truth. The New York Subway Hero: My Battle with Evil…and a Spree-Killer!! Paul calls me out for not saying a word and Big A said he tried to get a few words in and could not . Big A and Joe talked about how they are friends. Joe never thinks he is a hero but he never says to people not to call him that. Big A mentioned the first time he saw the back of Joeâ€™s head the scar is big and really looks bad. Political talk : Joe said Trump is making it interesting and people who donâ€™t know about politics are chiming in . Weâ€™re talking About UFC and Rhonda Rousey and Misha Tate . Joe does a great bumper and very funny. We talk about Big A needing money and needing to get back to training. Paul talks about his weight loss.